The windscreens are made of foam. 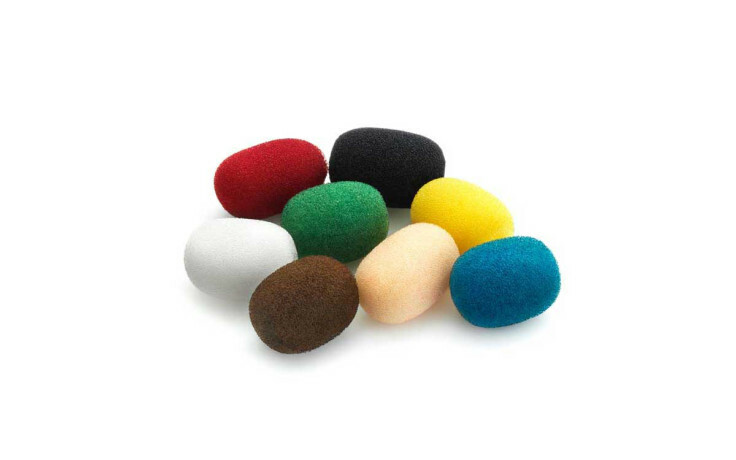 The size and contruction of the foam ensures that the windscreens do not attenuate the higher frequencies more than the tolerance field of the microphone frequency response and simultaneously it provides excellent protection from wind and pop-noises. The size of the windscreens make them discreet in all applications.